No matter what other advice or information you read if you are looking for a solution to help you in your quest to stop your dog’s aggressive behavior, the one piece that you cannot ignore is this you have to find the root cause before any attempt at stopping dog aggression can ever work. Stopping dog aggression is a human desire rather than a canine one because domesticated dogs were once wild and, as such, needed to be aggressive in order to protect their territory, food, family and of course themselves. They also needed to be able to establish a place in the pack. As such, dogs today may still have those tendencies. Some dogs are incredibly placid but all dogs have the ability to turn if they feel threatened or insecure so it may be wise to plan on stopping dog aggression no matter what your dog?s disposition. However, dogs that display infrequent aggression are not the same as dogs that display aggression all the time. The former is natural, and the latter may be due to anxiety, previous abuse if you have a rescue dog, a lack of socialization or even the inability to trust strangers. No matter what the root cause behind your need for stopping dog aggression, you need to identify it before you begin the process of stopping it. This root cause must be treated first and foremost because it is essential in making sure that your dog can ultimately feel safe and lose any aggressive tendencies. 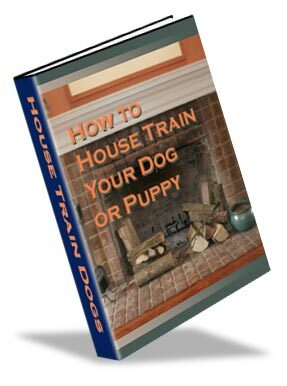 How to House Train Your Dog How to house train a dog or puppy even if you have failed in the past. Long Line Dog Training – Train your dog to stop pulling! How to train your dog on a long line to walk nicely & stop pulling. 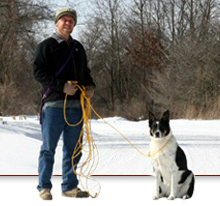 "Stop Dog Pulling on Leash"
Five Things to Remember: When You’re Working With Your Dog. Stopping Dog Aggression: Does Breed Matter?